We here in New Ulm love our Hermann Monument! He stands tall on the bluffs above New Ulm, overlooking our beautiful city in the Minnesota River Valley National Scenic Byway! 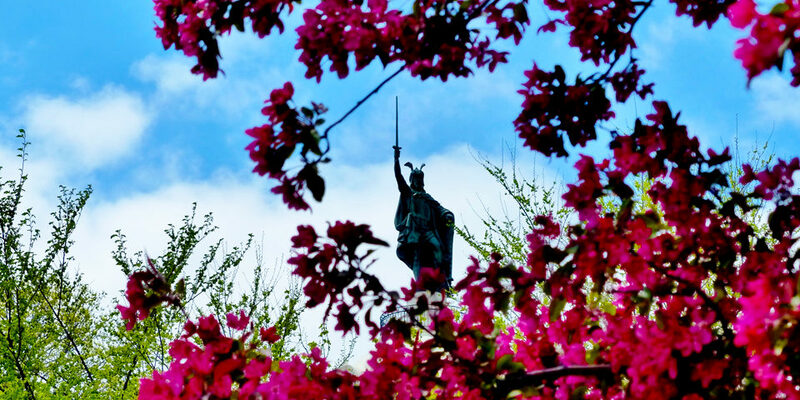 The statue, which we affectionately call “Hermann the German,” has stood guard over our city since 1897! So who was this Hermann guy? Hermann, who was also called Arminius, united the German tribes against the Romans in 9AD. He became the symbol for a strong united Germany. Julius Berndt, one of the founders of New Ulm, also belonged to a national organization for German-Americans, the Sons of Hermann. He persuaded the group to build a statue to show their pride in their German heritage, and of course suggested New Ulm as the location of this statue! MNopedia recently published an interesting article about the history of the Hermann Monument. Click here to read it! MNopedia is an online encyclopedia about Minnesota developed by the Minnesota Historical Society. 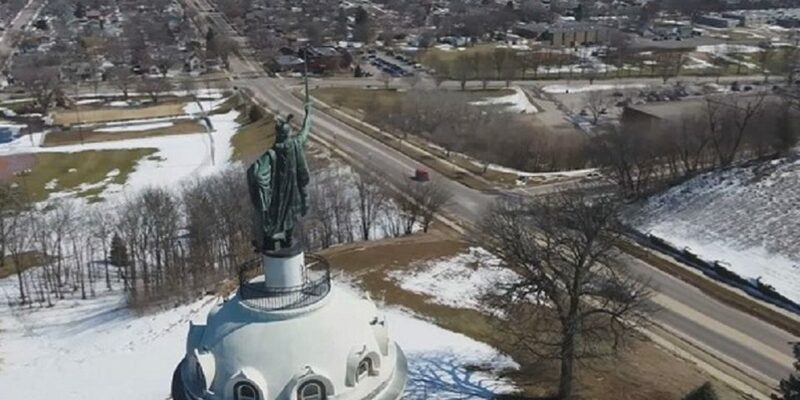 It is “a resource for reliable information about significant people, places, events, and things in Minnesota history,” and we’re so glad they chose to focus on the Hermann Monument in New Ulm for their latest article! Click here to read the MNopedia article about the Hermann The German monument.